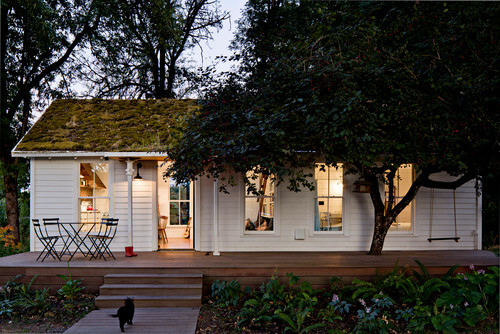 Are you lucky enough to design a home from the ground up? Here’s something to keep in mind: how easy will that house be to clean? It’s something that few of us bear in mind in the excitement of designing, renovating or building a new home, and yet it’s a factor that will determine the livability and quality of our days like no other. Yes, stainless steel is wonderful, until you find yourself obsessed with wiping away finger prints every two hours. Dark ebony floors are elegant, until they’re covered with dust, dirt and pet hair. Then they just look grungy. So here are a few things to bear in mind if you’re renovating or rebuilding a home. Light to mid-range wood floors are the easiest to keep clean. Wood floors have many, many advantages over other materials. 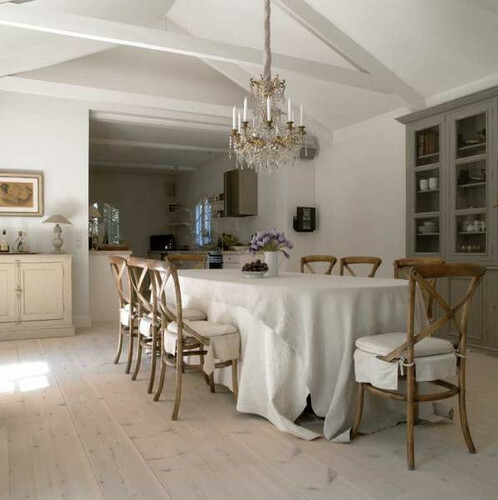 Unlike carpet, which can get ratty fast, wood floors only seem to get better looking with age. Unlike tile, there is no grout to get encrusted with dirt. They clean up fast, with a broom and a damp mop. They also don’t easily show dirt and dust, unless you make the mistake of going very light or very dark. So we vote for wooden floors in a light oak finish for their ease in cleaning on a daily basis. The other advantage of wood is that it can last for decades (if not centuries) and be restored relatively easily by refinishing. Traditional Family Room design by New York General Contractor S.A.N Design Group, Inc. 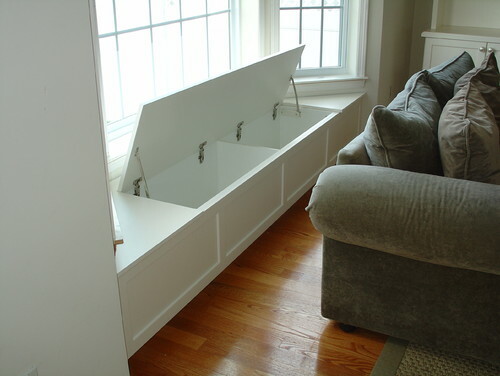 Choose furniture with storage. The whole storage issue doesn’t pertain just to the fixed elements of our home. Choose a couch that incorporates a place for blankets or remote controls, a coffee table with generous storage for magazines, books, remotes and board games, as well as tables with storage for silverware and table linens. The placement of the laundry room is very important. 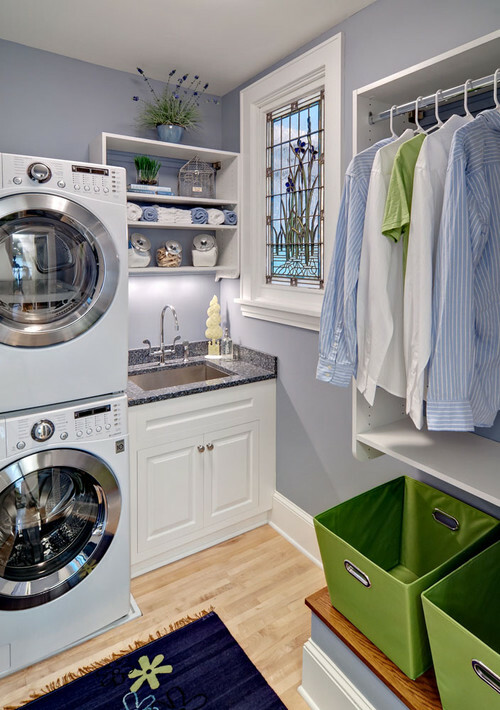 You sometimes find laundry rooms located downstairs, next to the kitchen or the back porch. Why? Instead, locate your laundry room near a bathroom or bedroom. That makes it easy to peel off your dirty clothes, and toss them into a laundry bin located not too far from your washer and dryer. Invest in easy-to-clean paints and furniture coverings. Naturally, you will want washable paint surfaces. If you opt for wallpaper, look for easy-to-clean products that do not fade easily. When it comes to choosing furniture, you may find leather in darker colors like taupe, gray, chocolate, charcoal or black, easiest to keep clean, especially if you have kids and dogs. Build a smaller home. Here’s some radical advice: Go small! 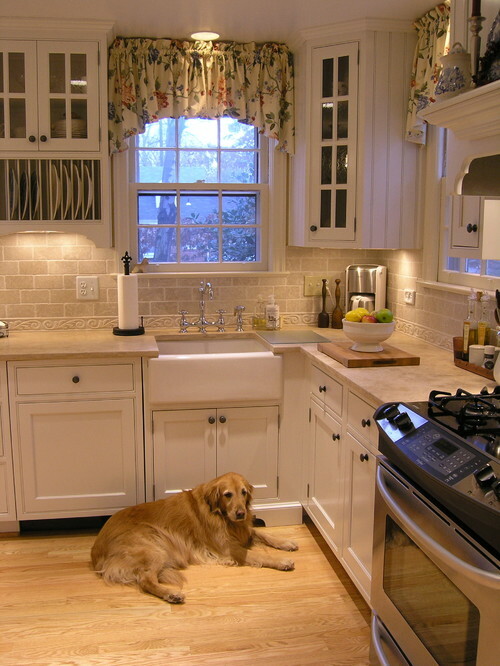 Smaller homes, particularly when they are well-planned, are far easier to keep clean. They take less time to organize, there is less square footage to scrub, and there are fewer objects required to fill these homes. A simple solution to a complex problem. Happy cleaning! This entry was posted on Tuesday, October 30th, 2012 by preynolds and is filed under How To, Tips, & Advice. You can follow any responses to this entry through the RSS 2.0 feed. You can leave a comment. Can't agree with having the laundry upstairs. I do all kinds of laundry during the day and would hate to be running up and down the stairs. In snowy winter weather or when it's raining who wants to lug wet clothes to the second floor? How about pet blankets and towels? Ideal is to have a full laundry with sink downstairs and just a small washer dryer and ironing board in a closet upstairs.